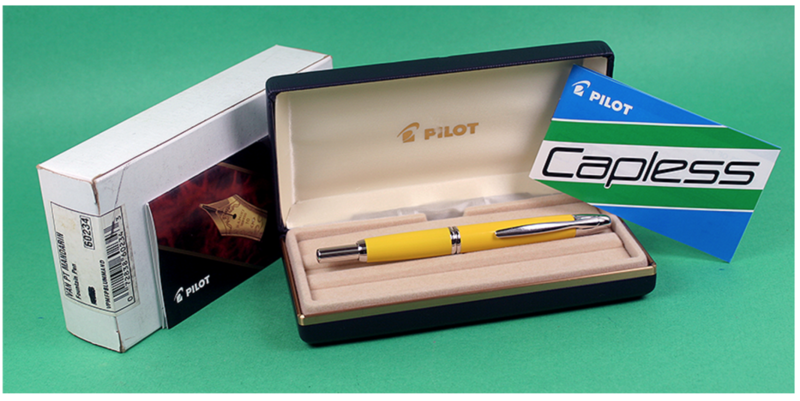 This 2003 Pilot button-activated pen is a cartridge/converter-fill in Mandarin Yellow and Rhodium. Special Edition for Japanese Market (a darker yellower color than the 2008 re-release). Fine nib. New-old-stock, mint in original box (labeled with Model No.60234) with papers and outer sleeve. Converter included! 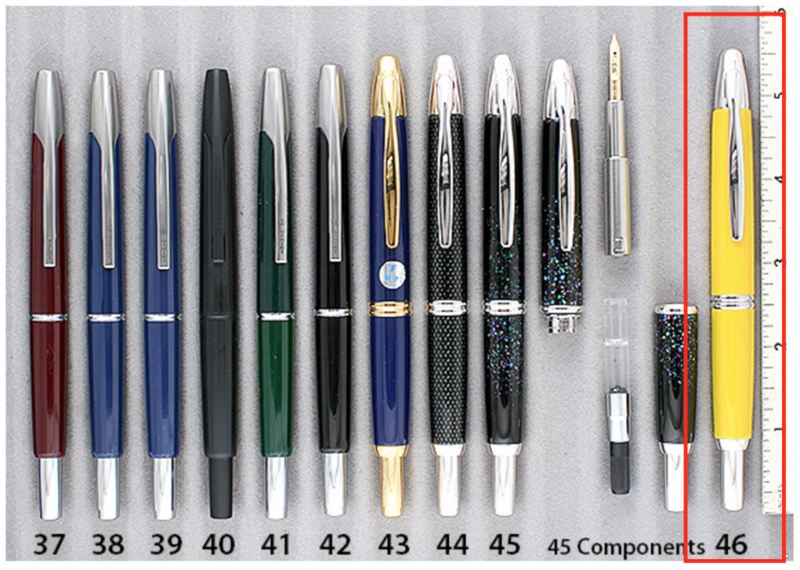 A convenient pen with a great color!